QAD offers a unique solution for standalone equipment manufactures that includes the full-featured QAD Cloud ERP and several related capabilities that help standalone equipment manufacturing adapt to changing business conditions, improve forecast accuracy, drive operational efficiency and improve delivery in full on time (DIFOT), all while meeting their customers’ demands for greater feature sets and extensibility. Consumption by standalone equipment manufacturers includes both commodity items and commercial off-the-shelf materials and purpose-built components. There is a separate value chain for servicing end users that desire customization and, due to product complexity, also a significant aftermarket business. Key features include demand planning, supply chain execution, quality management and global financials. These and other capabilities help manufacturers control of processes, reduce risk and modernize operations that align with business strategy. Increase utilization through better material planning and handling. Improve DIFOT through better supply chain insight and accurate inventory tracking. Reduce manual costs and errors by automating complaint management and quality-related processes. Increase inventory turns, reducing inventory via sophisticated forecasting methods and detecting demand forecast changes as they happen. 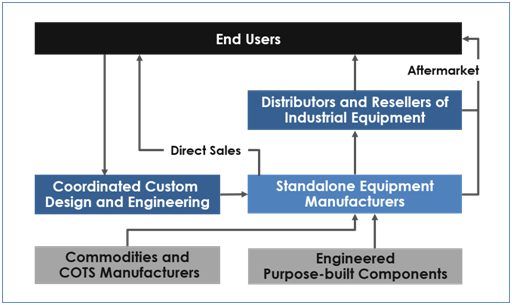 Standalone equipment manufacturers often differentiate their products based on technical features that require both continuous investments in product development and in constant modification of associated processes. The dynamic nature of these changes accentuates the need for integration and systems that foster continuous improvement. Many of the standalone equipment manufacturers' products are made in relatively low volumes. The production process includes a fair amount of manual movement of the material between manual assembly processes that often requires product and production order specific work instructions. All this processing becomes more complicated as the product becomes more complicated. Products may include multiple electronic subsystems and even hydraulic, pneumatic or mechanical motion subsystems. The production runs, therefore, often require the kitting of components and frequently require both mechanical and electrical integrity checks. The complexity of the BOM and the potentially high level of variation require a sophisticated integrated approach to planning and execution functions. Standalone equipment manufacturers closely monitor specific operational metrics and expect performance that allows them to differentiate. Key metrics include DIFOT, Capacity Utilization, Inventory Turns, Production Downtime, Work-in-Process Levels and Reduced Manufacturing Cycle Time. Overviews of the first three solutions areas listed above follow. For information about the rest of the solution areas, please visit QAD.com. Product complexity and associated product revision levels drive the requirement for unit level, electronic serialization needed by standalone equipment manufacturers. While driven by the expectations of their customers, standalone equipment manufacturers also look at the business benefit that can come with better visibility and overall operational improvement. The QAD Item Level Serialization solution addresses manufacturers’ robust material traceability requirements. Traceability can extend to final assemblies tied to subassemblies or lot identifiers for sourced components. Information about products and inventory movements stored in each of these logistic units are all captured and accessible through a serial ID. QAD DSCP (Demand and Supply Chain Planning) provides tools to build and manage better forecasts by improving data reliability and accuracy due to collaboration between all those involved in the forecasting process. Standalone equipment manufacturers can manage forecasts at any level – customer, item, group or family – with input from a variety of sources including sales representatives, customers, marketing and finance. 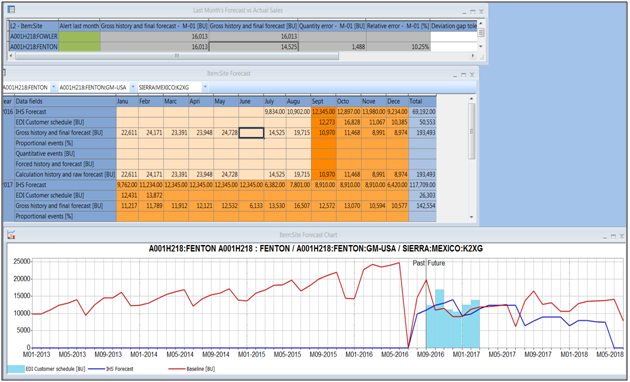 QAD Demand Planning, part of QAD DSCP, creates sales forecasts based on historical, market analysis and customer production data. Exceptional events such as holiday shutdowns can also be input. QAD DSCP uses sophisticated statistical modeling to pinpoint statistical anomalies that can skew demand. 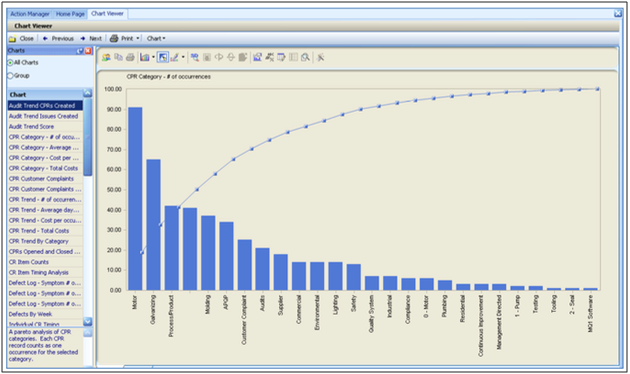 The models can smooth historical data if applicable, determine the effect of exceptional events and generate a forecast for each individual item, automatically selecting the best-fit statistical model. Quality control in a high tech standalone equipment manufacturing environment is often an integral part of the operation. Standalone equipment manufacturers typically have electrical and other system inspections at varying stages of the assembly process to assure satisfactory functionality prior to additional handling. 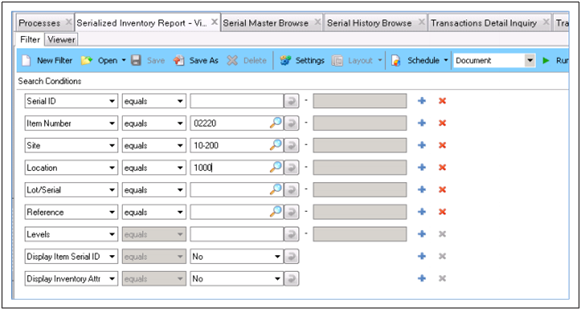 QAD Item Attributes and Quality Control allow for attributes that are tracked at the lot level when an item is received from a supplier. Item Attributes supports complete traceability at the lot and attribute level for anything bought, sold or produced. QAD QMS further supports the integration of quality planning efforts whether through formal APQP or other manufacturer-developed standard operating procedures. QAD QMS supports the management of quality information in terms of both specifications and supporting documentation. This integration allows manufacturers to integrate related process data, automate required business processes, and comply with design and customer specifications. For more information on how the QAD Standalone Equipment Manufacturing solution can help your company, please contact QAD at +1-805-566-6100 or email info@qad.com.